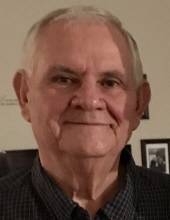 Larry K. “Butch” Trumbull, 72, of Milton Center, Ohio passed away Tuesday April 2, 2019 at the Bridge Hospice Care Center in Bowling Green with his loving family by his side. He was born June 9, 1946 in Milton Center, Ohio to Emmit and Nellie (Tolles) Trumbull. He married Rosalyn “Kay” Eschedor on November 6, 1965. Butch served his country proudly in the United States Army during the Vietnam War. He worked for 33 years as a custodian for Otsego Schools. In his retirement, he sold fire equipment for United Fire Apparatus to fire departments all across northwest Ohio. Through these sales, he developed numerous relationships with fellow fire fighters that turned into cherished friendships. Butch served on the Milton Center Town Council, was the former Milton Township Fire Chief, a lifetime member of the Milton Township Fire Department, was a member of the Milton Township Fire Board and the Wood County Firefighters Association. Butch had a servant’s heart, which was evident in the passion he had for serving his community. He was an avid fan of the Danbury Lakers and Cleveland Indians. His greatest joy in life came from the time he spent with his family, especially his grandchildren. Along with his wife of 53 years, Kay, Butch is survived by his son Rob Trumbull of Deshler, Ohio, daughters Wendy (Kory) Conrad of Marblehead, Ohio and Cheryl Trumbull of Milton Center, Ohio, brothers Ronald “Bud” (Sharon) Trumbull of Weston, Ohio and Merle “Pete” Trumbull of Bradner, Ohio, grandchildren Brook (Austin), Bridget (Tyler), Mikahla and Kaden, great-grandchildren Jaxson, Clayton and one on-the-way, and several nieces and nephews. He was preceded in death by siblings Claude, Richard, Howard, Robert, Roger, Pauline, Irene, Lois and Nancy Jo and grandchildren Francis and Kyra. Visitation will be held on Sunday April 7, 2019 from 1:00 to 3:00 p.m. and 5:00 to 7:00 p.m. at Dunn Funeral Home, located in the Historical District of Bowling Green at 408 West Wooster St. A Fireman’s Last Alarm service will begin Sunday evening at 6:45 p.m. at the funeral home. His funeral service will be held Monday April 8, 2019 at 10:30 a.m. at the funeral home. Rev. Ray Getter will officiate. Following the funeral service, full Military Honors will be rendered by the Wood County Honor Detail at the funeral home. Memorial contributions may be given in his memory to Bridge Hospice or a local fire service of the donor’s choice. To send flowers or a remembrance gift to the family of Larry K. “Butch” Trumbull, please visit our Tribute Store. "Email Address" would like to share the life celebration of Larry K. “Butch” Trumbull. Click on the "link" to go to share a favorite memory or leave a condolence message for the family.